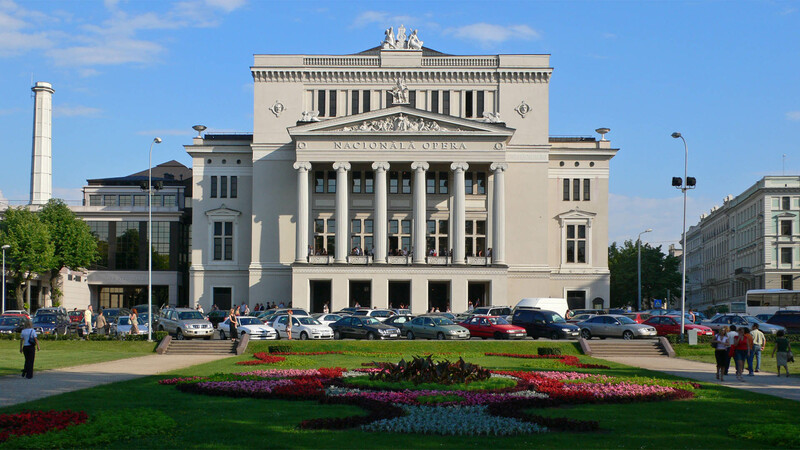 Riga Opera House is one of the finest 19th century opera houses in the world and the home of Latvian National Opera. 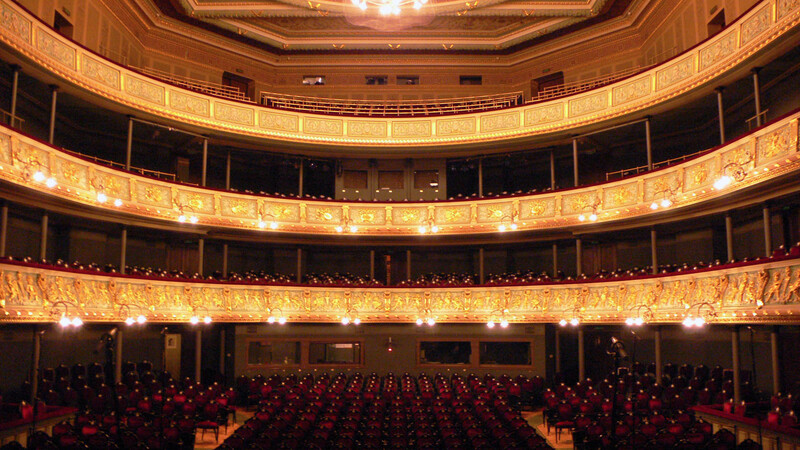 The auditorium is regularly used for concerts by the LNO orchestra as well as by visiting orchestras and choirs. With the musicians on the open stage, however, much of the sound was lost into the wings and backstage space. Attempts to remedy this using scenery backdrops resulted in some very unsatisfactory acoustic effects, as well as looking quite strange on occasion. 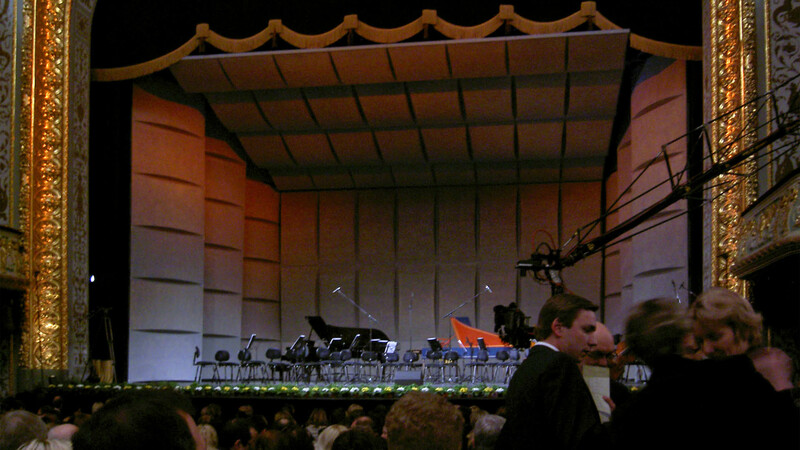 We were therefore appointed to design a demountable orchestra shell within some very demanding constraints. Not least, because of the very limited budget available, it had to be a fraction of the cost of a proprietary orchestra shell. The shell had to be lightweight, as it would be suspended from lighting and scenery bars. It also had to be capable of installation and removal by the stage crew in a few hours, so that a concert could be given on the same day as an opera rehearsal. Unusually, as the Opera House has very little backstage storage space, the shell also had to be easy to pack into no more than two standard lorry containers, so that it could be taken off site. AJA took on the acoustic design and theatre consultancy for this challenging project. 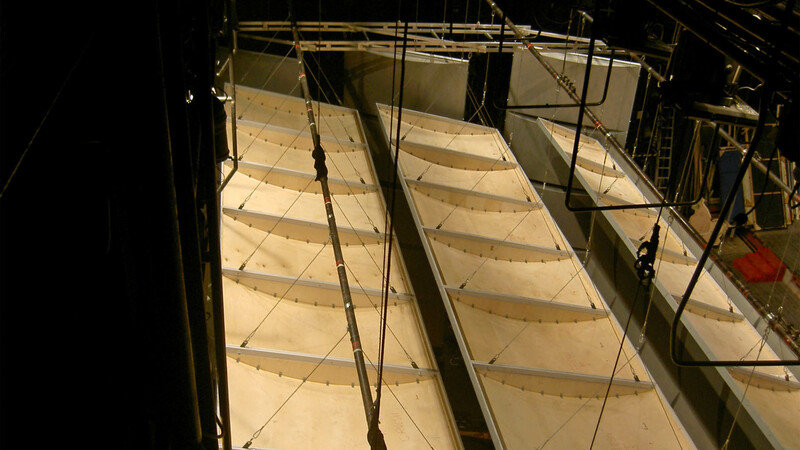 After a detailed acoustic survey we established the acoustic requirements and our theatre consultant Michael Holden produced a detailed design for the shell, using a modular system of curved plywood panels in an aluminium framework. These materials were chosen because they were available locally at reasonable cost, and because the local scenery builders were familiar with them. 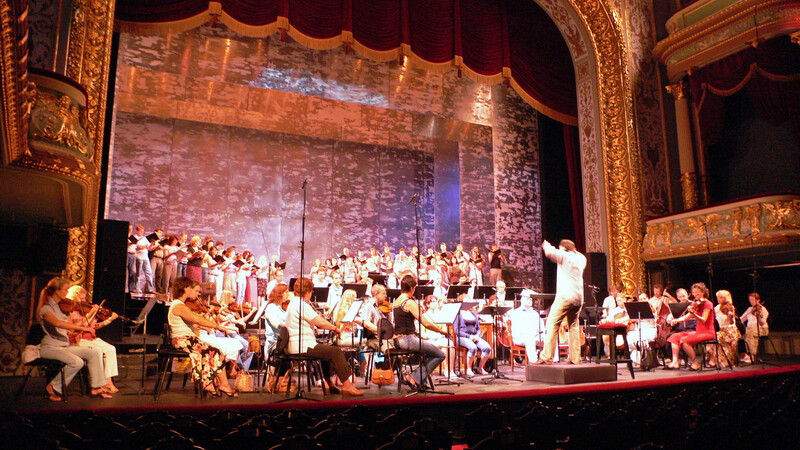 The shell was built on site by LNO’s own staff and was first used at a gala concert on 27 February 2007.